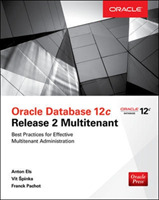 Helps you master the multitenant features of Oracle Database 12c. This book teaches, step-by-step, how to implement and manage multitenant configurations across IT frameworks of all types and sizes. It focuses on new features built for both public and private clouds, including Database as a Service (DBaaS) functionality and cloud-based security.